KARACHI: Range-bound trading was witnessed on the stock market on the opening session on Monday. The KSE-100 index managed to close with a meagre gain of 25.91 points to 25,283.96. The market remained in search of direction with the index trading in a band of 184 points. 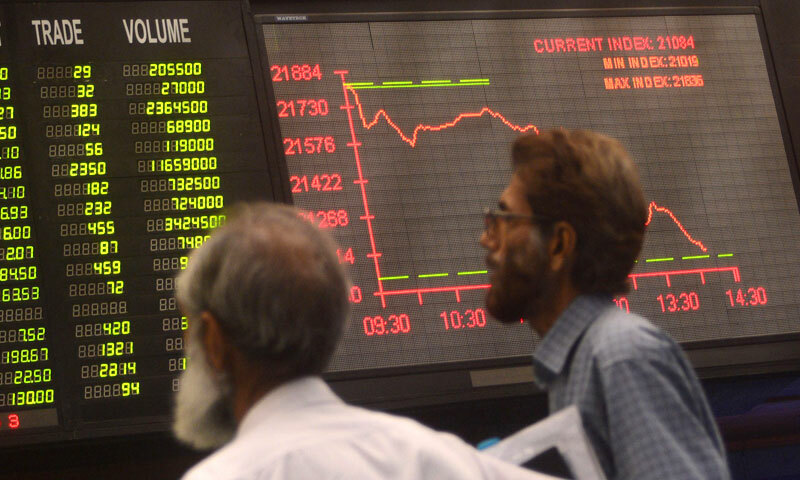 The investor participation was low represented in the drop in trading value of stocks to Rs5.580 billion, from Rs7.748 billion on the last trading session on Friday, as institutions kept to the sidelines. Some decided to book profit to put a gloss on the bottom line just before the close of accounting books on Dec 31. Several market participants said that investors were cautious after a decline of 1.26 per cent WoW to Friday. Foreign inflows also trickled down as fund managers were off on holidays to celebrate the Christmas and New Year. The reins of the market were held by the second tier cement stocks which contributed 35pc to the total market volume; Maple Leaf Cement, Fauji Cement and Flying Cement were the three top volume leaders. Cement stocks continued to attract investor interest as they looked forward to healthy earnings in the upcoming half yearly results. Textile stocks also remained strong with Nishat Chunian, Nishat Mills; Kohinoor Textile and Azgard Nine as gainers. Fertiliser sector came under pressure over price of urea in the face of gas supply shortages. Food and consumer stocks were prominent gainers with National Food; Pakistan Tobacco and JDW Sugar hitting their �upper circuit�. Analyst Ahsan Mehanti at Arif Habib Corp stated that stocks closed higher ahead of year end closing on strong valuations. Renewed foreign interest in selected oil and banking stocks played a catalyst role in bullish activity despite rising political uncertainty amid protests.